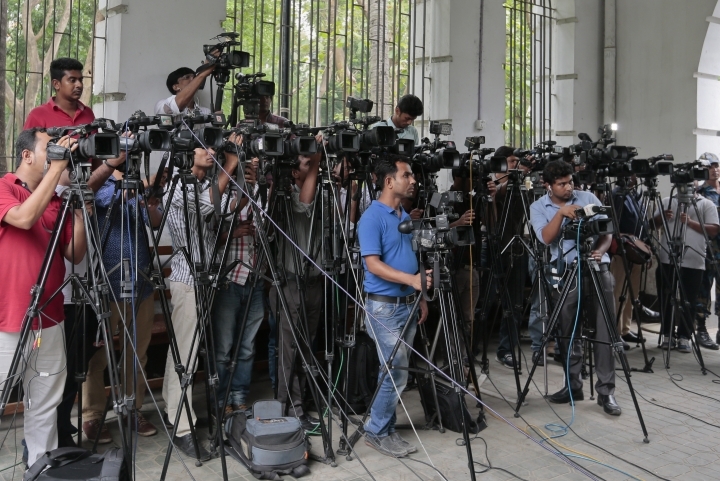 DHAKA, Bangladesh — Journalists and human rights groups are demanding major amendments to a bill recently passed in Bangladesh's Parliament, saying it will further choke constitutionally protected freedom of speech. A powerful body of editors of leading newspapers and TV stations has officially protested the bill, called the Digital Security Act, and plans to form a human chain to protest Saturday in front of the national press club in Dhaka. "We are moving toward a bad time. This law will hurt the media, democracy and freedom of expression," said Khandakar Muniruzzaman, acting editor of the Bengali-language daily Sangbad and among those planning to participate in the protest Saturday. Senior editors, journalist groups and human rights groups in and outside Bangladesh are echoing these concerns, demanding that lawmakers clarify sections of the bill they say could be wielded arbitrarily against government critics before the president signs it. In Bangladesh, the president customarily signs anything passed by Parliament. He can send it back to Parliament, but if members think no changes are needed, it will go back to him for a signature. If the president does not sign it in six months, it automatically becomes law. The bill would replace a previous information communication technology law, which was also criticized by journalists and human rights groups for its alleged use to crack down on dissent. Many editors and reporters have been sued for defamation under the law. Observers say the bill is part of a broader campaign to silence critics in Bangladesh, and reflects a worrying trend in fledgling Asian democracies. Journalists in Nepal are combating a similar law, part of an expansive rewriting of that country's civil and criminal codes meant to define the parameters of Nepal's new constitution. Laws like the one recently passed in Nepal and the one pending in Bangladesh, where democracy was restored in 1990 after the military dictator was ousted, could make it more difficult for journalists to expose corruption. 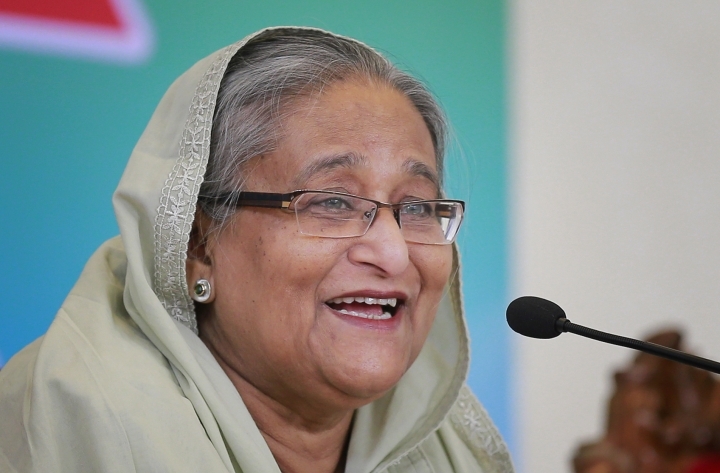 Bangladesh's Prime Minister Sheikh Hasina, who political opponents decry as an autocrat, defended the bill in Parliament last week, saying that it was meant to protect the country from propaganda. "Journalism is surely not for increasing conflict, or for tarnishing the image of the country," she said. Bangladeshi journalists are taking particular umbrage with a section of the bill that authorizes up to 14 years in prison for gathering, sending or preserving classified information of any government using a computer or other digital device. The journalists say publishing such information is a way to hold officials accountable. The section evokes the sentiment of a British colonial-era law about protecting official secrets. The bill would also authorize prison sentences of up to three years for publishing information that is "aggressive or frightening" and up to 10 years for posting information that "ruins communal harmony or creates instability or disorder or disturbs or is about to disturb the law and order situation." Government officials have listed incidents in recent years in which false social media posts about people disrespecting the Quran have incited violence. Critics of the bill say existing criminal laws adequately address these concerns. Fears of the broad reach of the bill extend beyond journalists. Human Rights Watch said the law would be ripe for abuse, in part because it would empower police to search or arrest suspects without a court order. "Bangladesh authorities have failed to address serious human rights violations, and when criticized, chosen to target the messenger," spokeswoman Meenakshi Ganguly told The Associated Press. "Bangladeshi journalists, already under pressure, will now worry about doing their job in exposing government failures," she said. Some critics say introducing such a law a few months before general elections, which are expected in December, could also target opposition activists and candidates. Bangladesh's main opposition Bangladesh Nationalist Party, or BNP, has said the bill is intended to silence its members. Party leader former Prime Minister Khaleda Zia, an archrival of Hasina, is currently in jail for corruption. Her supporters say her jailing is politically motivated, an allegation authorities have denied. An election-time government is expected to be formed in mid-October that Hasina is supposed to head in line with the constitution, but the opposition says an election under Hasina could be rigged. The opposition wants a non-partisan caretaker government to oversee the elections. The opposition says their activists are facing thousands of politically-motivated criminal charges, but police say they are following the law, without regard to suspects' political affiliations.